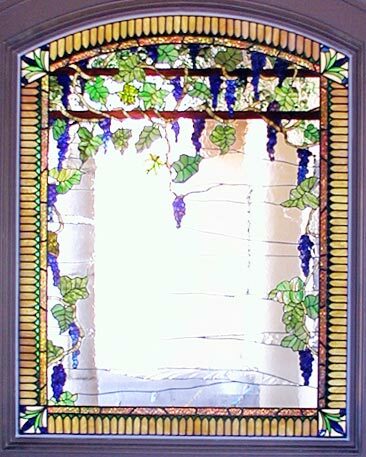 "YATES P" CUSTOM STAINED AND LEADED GLASS GRAPES WINDOW CUSTOM GLASS DESIGN. 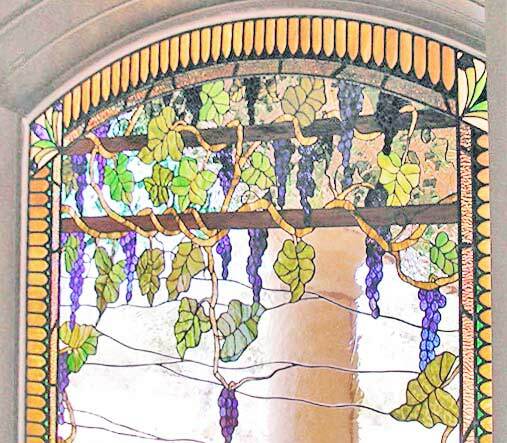 Grapes motif window. The border is leaded and the center design is copper foil construction. 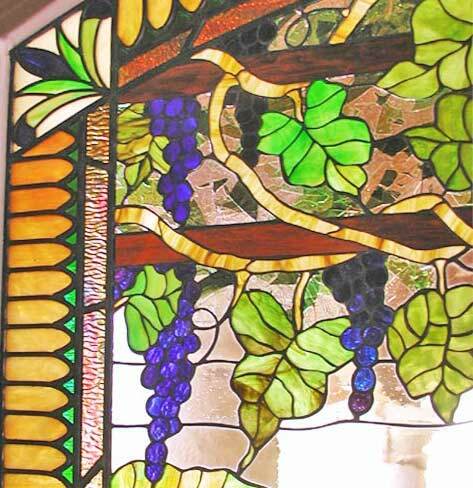 This stained and leaded glass grapes window was approximately 44" x 56". 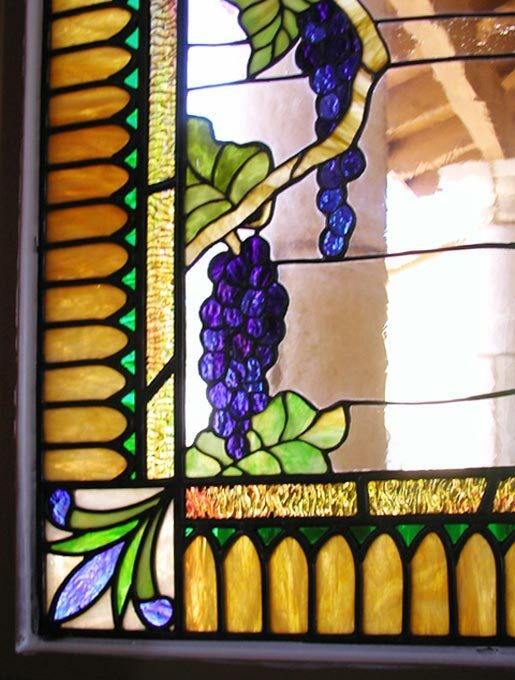 Handcrafted for a private residence in Llano County, Texas, by Jack McCoy©.